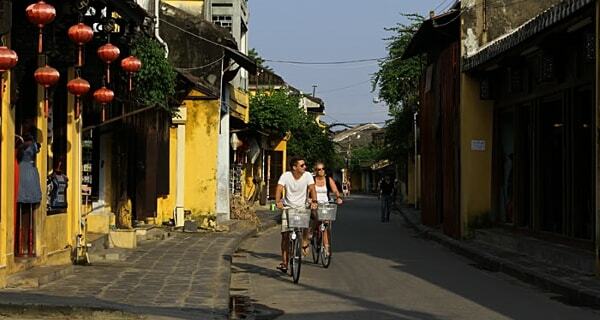 Bicycle tours have been one of the most popular activities in Hoi An and there are a lot of tours showing up if you Google for: Hoi An bicycle tours. It’s easy to understand this because the town is small and the beautiful scenery is everywhere. This article will feature some of the most celebrated bicycle tours in Hoi An. 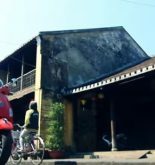 Cycling in the ancient town of Hoi An. Before showing the tour service providers, let’s get to know the most popular type of bicycle tour – countryside tour: For this type of tour, the tourists would get to cycling though the scenic countryside that in the 10km span of Hoi An. This is usually a one day tour and what you will see is not only the farms. This tour service provider offers long distance tours that vary from 15km to 65km. The 45km full day tour around Hoi An and 65km tour from Hoi An to Hai Van Pass are their featured tours. That promise to be full of amazing experiences from the sceneries around Hoi An and the stunning view from the Hoi An pass. However, these long distance tours require you to have an adequate stamina, otherwise the tour would be a torture to your health. There are also free tours organized by volunteer local university students that just cost you several dollars for kinds of essential fees. There are two main tours for a day: Kim Bong Bicycle Tour and Hoi An Food Tour. For Kim Bong tour, you will be visiting Kim Bong Carpentry village, making boat’s workshop, Cam Kim market, Duy Vinh sleeping mat village, rice paper factory, tropical fruit garden and rice field. 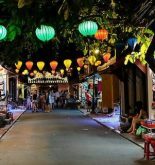 For Hoi An Food Tour, you will have a “chance to discover street food which you would not get if you were just a tourist walking around by yourself.” This is a more recommended tour since the food of Hoi An is quite diverse and spectacular. However, the food tour isn’t free and it cost 29$/pax. Heaven & Earth is the most renowned tours provider of them all. They offer a wide range of tours such as the classic countryside to the rural places, hidden beach ride to the secluded, unspoiled beach near Hoi An or the adventure tour that leads you to the outcast, lots of dirt roads on a mountain bicycle. In conclusion, there are a lot of choices when it comes to bicycle tours around Hoi An. Therefore, you need a bit of research for all the tours before making the decision that suit you most, especially the one that fit with your physical health. And always remember to bring suntan lotion, cap, sunglasses, and water bottle as the tour provider advise you on the tour information. 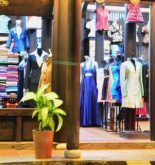 Address: 66 Phan Chu Trinh Street. Address: 109 Nguyen Thai Hoc Street. Address: 37 Ba Trieu Street. Address: 332 Nguyen Duy Hieu Street. Address: 07 Ly Thai To Street.